It’s that time of year! 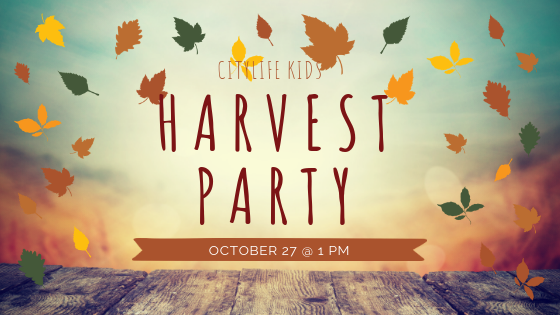 The Fall is now upon us and Citylife Kids is excited about celebrating this wonderful time of year with our annual Harvest Party Hoedown. Please join us this year for a fun and exciting afternoon filled with games and fall activities for all kids. Come dressed in your country attire, or in your Sunday best, but be ready to have a great time! All our welcome, so invite your family, friends, and neighbors and join the fun! We hope to see you there! Who is the Harvest Party for? We would love to have you join the party and help out with games, arts and crafts, set-up etc. See you at the Hoedown!